Search for a name, numbers, initials... anything! "No snags or anything, all straight forward. Very easy service to use would highly recommend." "Very pleased with the service and assistance required whilst purchasing my plates. Highly recommend National Numbers." "Excellent service, very easy to use. Very quick as well." "Outstanding customer service a joy to deal with"
"First time I have purchased a personal plate - very impressed. Quick, informative and provide a great service." Don't need a private registration? Millions of new '69' registrations coming soon! Average call time is one minute. Brand New 19 Reg Vehicle? Search our range of 1,192,813 reg from the 19 series! Simply select two letters, then three further letters to make up your ideal registration. Or browse some search ideas here! of personalised registrations! Great for all football fans! Looking for your ideal personalised number plate? Since 1981 National Numbers has been the UK's favourite private number plate dealer, offering customers unique and exciting vehicle registration marks at a range of prices. 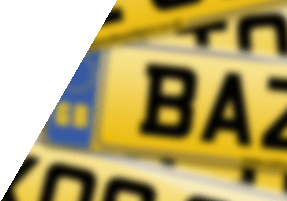 Our cheapest number plates start from as little as £136 (including all government fees), but we also carry premium dateless registrations - some of which are over 100 years old. In addition we're pleased to offer 0% finance plans for those looking to spread the cost of their new plate. We have over 54 million registration plates for sale - the scope of which covers unissued Government stock, registrations from private sellers, and our own large range of exclusive number plates - our simple but powerful number plate search lets you easily find the car number plate you want. Names, numbers, initials... we've got matches for them all! You can buy number plates online, or call us on 01642 363738 - we're open 7 days a week! Have fun experimenting with searches until you find the combination that you're looking for, and if you can't find one you like our friendly and knowledgeable staff will happily help you look. Their experience has helped match thousands of satisfied customers to a number plate. We can also help you sell your registration. Request a free private number plate valuation for your registration, then edit or approve the figure online to begin promoting it for sale - free of charge! 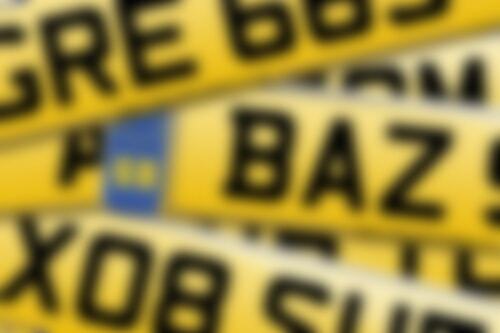 Call today on 01642 363738 and start your search for your perfect number plate. Over 54 million personalised registrations to choose from! All available to search online.